April's Sew Sweet Bee queen bee was Donna @ Donna's Lavender Nest. 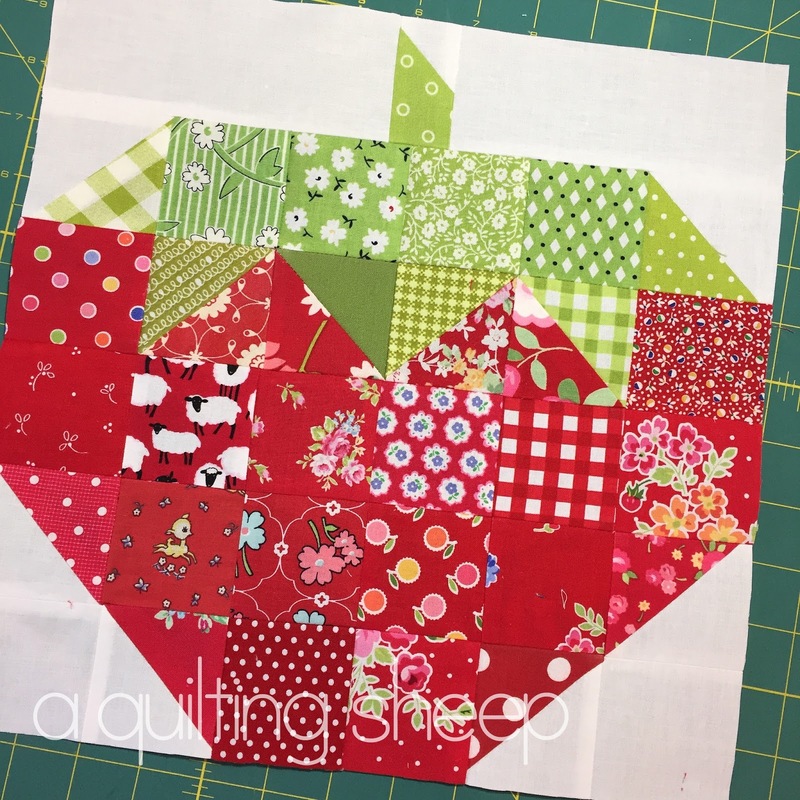 She asked for a strawberry block from Lori Holt's book, Farm Girl Vintage. So cute!! Terrible picture of the interior. This is beautiful! 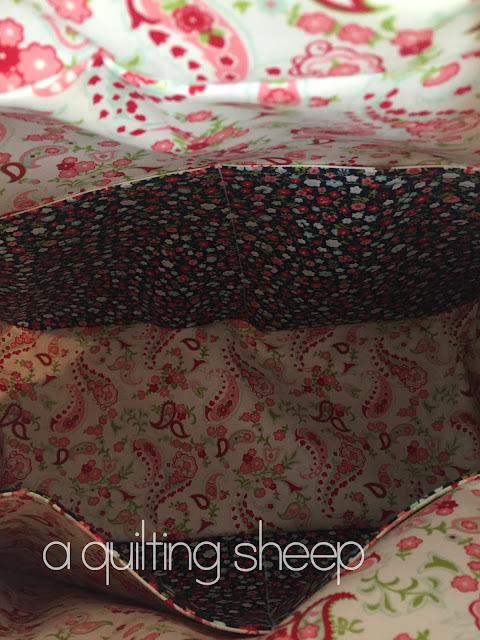 I've only made two bags so far, and my girls love them and want more, but I'd rather sew many, many quilts before tackling bags again - so I know how you feel :)! Your bag looks great. Love how it turned out. I love your bag and strawberry! Your strawberry is very cute, and the bag is wonderful. We used the Farm Girl book to make a charity quilt at our winter retreat. There are so many great blocks in that book. I have the weekender pattern but have not made my first bag yet. Your bag looks great. I don't think that this is a good time for me to give that pattern a try. 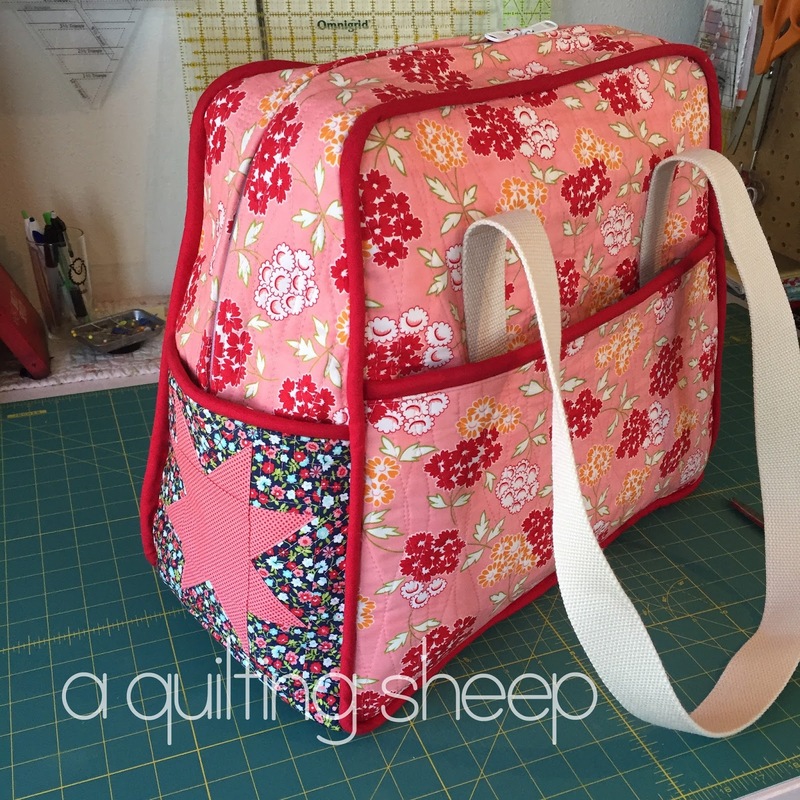 That block is adorable and I love the Weekender Bag. I've thought about making it, but haven't gotten the pattern yet. Wow girl, how gorgeous!!!!! That bag looks amazing, but ugh...I think my bag-making days are behind me. Love! You are so talented!